Our Community Outreach group, the Scrapbag Quilters were given a pile of "off-cuts" of Christmas fabric. I wasn't certain I could make them work but now that I look at the top assembled I think I succeeded. I cut the base fabric 10" and used a simple red for the centre string. 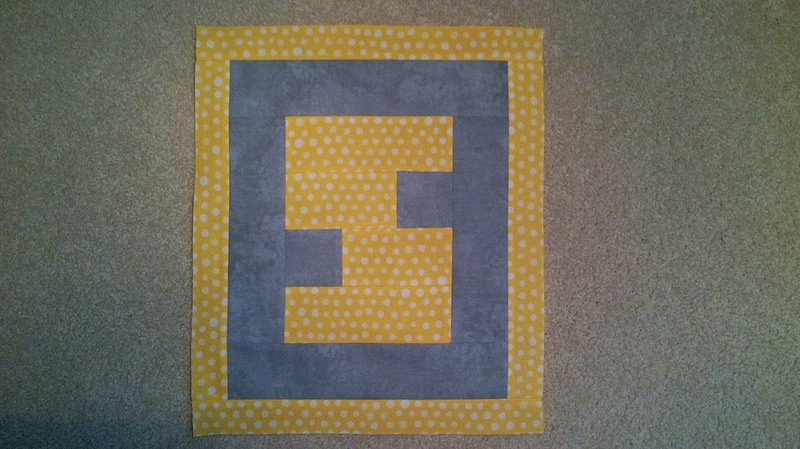 The remainder of the block was sewn in the exact same manner for each block. The pattern develops when you put several blocks together. Because some of the pieces were just a little skimpy towards the edge I used a 1/2" seam through out when assembling. This is an example of putting my scraps to work. Jess at Quilty Habit (here) has run a series that startied in the new year called Sewing with Certainty. While I think it is primarily directed at newer sewers and quilters there is much to be gained by reading her blog posts. In her final post of the series she asked readers to contribute their thoughts on blogging. In particular she asked about starting and/or managing and/or writing a sewing blog. what is our favourite part about blogging and how does blogging affect your quilting. As it happens this week I did an online workshop about starting a blog. I was the very first to admit I am not a proficient blogger and there are many things I should do but don't so another almost classical case of do as I say not do as I do. I set up this blog to record my quilting finishes and to maybe on rare occasions make comments about general topics. I do not have very advanced camera skills and would not even begin to think about do a tutorial. I am happy to describe in words what I have done or if the pattern is something I have written up to send a copy to someone. My favourite part about blogging has to be reading other peoples blogs to see what they are doing. I also love to look at the pictures. So I suspect that visitors to my blog would like to see the same things here. 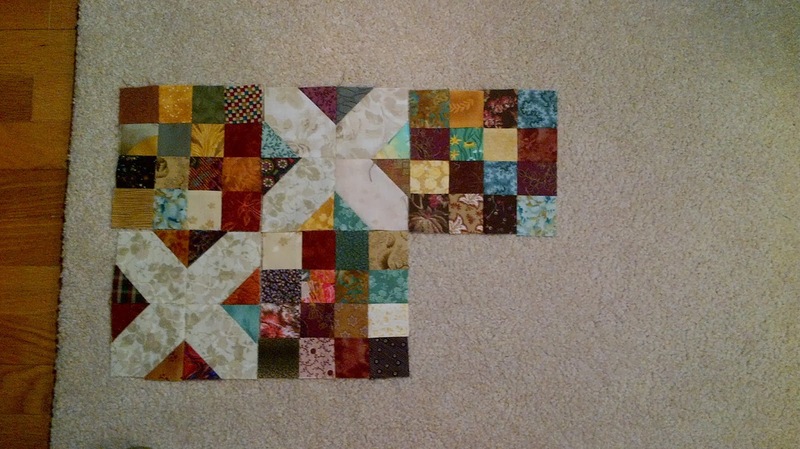 To answer the question how does blogging affect my quilting. Probably in two ways. I am exposed to so many new ideas while visiting other blogs and I want to try them all. Just kidding, I don't have that much time left to quilt. And it makes me want to put up pictures of better work. When my daughter was much younger she loved The Count on Sesame Street. In fact it was a toss up between The Count and Big Bird as to who was her favourite. I am in part a retired Math teacher so I too love numbers (and the things you can do with them). So when Alyce at Blossom Heart Quilts (here) asked for testers to test her remaining numbers to complete her A, B, C and numbers one to ten pattern I jumped at the opportunity. 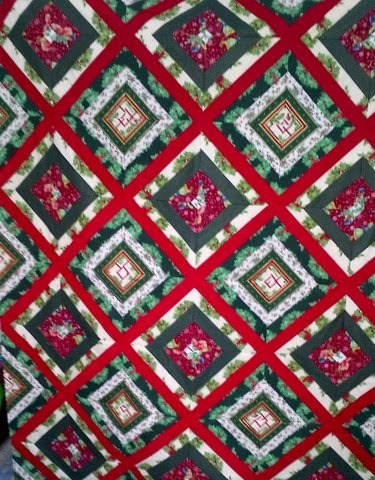 This pieced block worked beautifully and it was very easy to put together. 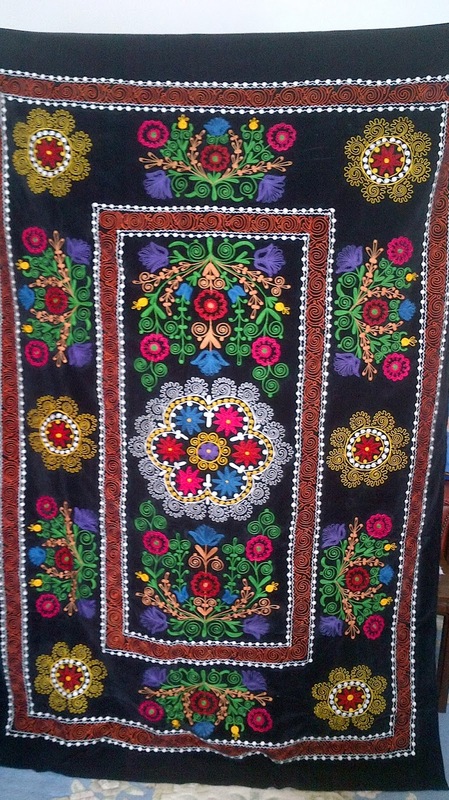 I see a "numbers" quilt in the future. Yesterday afternoon I had the opportunity to talk online about getting started with blogging. Preparing for the talk sure reminded me about all the things I do not do well and made me aware of all the things I do not know. But one thing I have found out since I have been blogging is that there is always someone out there who knows how to do whatever you are trying to do and is more than willing to answer your questions.